Do you hear those sleigh-bells jingling? Me either. Because all I can hear is the sound of my cats shaking down my Christmas tree and trying to eat the wax from the Hanukkah menorah. I wish I could tell you that there was a fool-proof, simple method to get your cat to leave your holiday decorations alone, but here is the reality: there isn’t. However, there are a few work-arounds you can do to keep your tree somewhat decorated and upright and keep your beautiful candles and other décor from ending up as a cat toy. These methods are all tried and tested by my three very curious cats, and have somewhat saved my sanity. The thing that makes being a cat-parent so different from a dog parent, is that the dog parent can just put things up on a counter-top or out of reach from the dog. The cat parent doesn’t always have that luxury, because when a cat wants something, they will jump higher than Michael Jordan. With the Christmas tree, I have found that putting the nicer ornaments toward the top of the tree is the only way to save them. The cat can jump all day, but they usually cant get those ornaments up high. The cheaper dollar store ornaments can go around the bottom. It also helps to use metal ornament hooks to completely wrap the ornament around the branches along the bottom, rather than to just hang them as you normally would. But beware: if you have a persistent cat, this might result in your whole tree toppling over as the cat tries to pull the hooked ornaments off. You could also try this new tree from British retailer Argos, which just removes the whole bottom for convenience of pet owners. Or, if you are feeling extreme, you can hang your tree from the ceiling! All kidding aside, there are some natural methods you can use to keep your cats away from the Christmas tree. Cats naturally hate the smell of oranges and citronella. Mist your Christmas tree with citronella essential oils mixed with water to keep the cats away. I also hide orange peels under the tree, and in the water of my real tree. The water will smell like oranges (which will keep the cats from drinking it) and it will help the tree smell like oranges as it takes in the water. Plus, your house will smell fresh! Some cats like to climb the trunk of the tree—especially when it is a real tree. This can be dangerous as they sink their nails into the lights or wires, and as they make the tree top heavy it can topple over. But one thing cats hate? Tin foil. Wrap the trunk as much as you can in tin foil and they will not be tempted to climb. They hate the sound it makes, and it keeps them from getting traction to climb. Bonus: tin foil helps add a little shine to the tree! Nobody wants to admit they have thatcat, but everyone has had a cat knock down a Christmas tree at least once in their life. Before I learned this trick, my tree fell over once a day! Take some clear fishing wire and tie it to the top of the tree. If you keep your tree near stairs, tie the other side of the fishing line to the highest railing, or attach it to your ceiling using clear glue. This can help keep the tree upright if your cat should decide to climb it or knock it over. Just as the holidays can add stress and anxiety to people, it can set cats into an anxious frenzy. While your cat may be playing with the tree because they are curious, they may also be experiencing some anxiety over the smells and sounds of the holiday décor. CBD is a natural, safe way to keep your cat calm and relaxed. 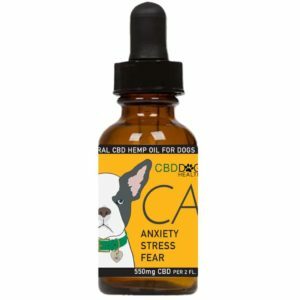 I use CALM CBD oil for catson my cats every day (not just during the holidays) and have seen a huge difference in their behaviors. They still are curious about the tree, but they no longer get into the decorations when they are anxious. Tinsel is beautiful. But if a cat swallows it, it can be fatal. Tinsel can cause blockages and serious issues when ingested by cats or dogs. (Plus, cats generally will string it about the house). 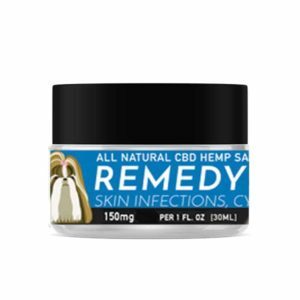 PreviousPrevious post:What To Do When Dogs Eat Holiday TreatsNextNext post:Can CBD Help with IBD in Dogs and Cats? How do you naturally treat alopecia in cats and dogs?